We are supporters of the Simpson College Shooting Sports Club, and we would like to commend you on your decision to officially support the club with the hire of a shooting sports coach and recruiter. The Simpson College Shooting Sports Club was founded in 2011 by a group of individuals that had a common interest in the shooting sports, and who wanted to share their passion with others. Since its beginning, the mission of the club has been to promote safe and responsible participation in the shooting sports. The group seeks to educate people on the proper handling, care, and use of a firearm, in addition to opening the door to participation in the sport. The club is open to Simpson College students of all experience levels, those interested in recreational shooting, as well as competition. It is our goal to provide a safe, friendly, and positive atmosphere where people with a common interest in the shooting sports can come together and share their passion. In the five years since the club’s inception, membership has grown significantly. This should not be surprising given the fact that there are over 13,000 student athletes participating in the Scholastic Clay Target Program nationwide, a number that is rapidly growing each year. In the state of Iowa alone, over 3000 students participate in the shooting sports through their schools, the 4-H program, or FFA, to name a few organizations. Overseeing the activities of the club has come to require a considerable amount of time and effort, which is why the hiring of a coach is vital to the future success of the club at Simpson. One of the reasons for the rapid growth of the shooting sports is that it is a sport in which anyone can compete, regardless of their physical abilities.  A person doesn’t have to be what is considered traditionally athletic to be a serious competitor in the shooting sports. The only attributes that are necessary for success are self-discipline, mental focus, and the understanding that you are competing both as an individual and a member of a team. Since these are more learned skills than God given abilities, the shooting sports are accessible to a much broader audience than many other traditionally offered sports programs. Despite beliefs to the contrary, the shooting sports are statistically much safer than nearly all other traditional sports offered at the collegiate and high school level. According to a study titled A Comprehensive Study of Sports Injuries in the U.S. by American Sports Data, Inc., you are 47 times more likely to be injured playing football, 19 times more likely to be injured playing basketball, and 15 times more likely to be injured playing baseball, than injured when competing in the shooting sports. Safety is the number one priority of all shooting sports programs, and it shows. The missions of Simpson College and the Shooting Sports Club parallel each other in that both aim to foster a sense of personal worth in our students/members, encourage them to development practical skills, and hope to develop responsible citizens upon graduation. Coupling the quality academic programs offered at Simpson College with participation in extracurricular activities, like the shooting sports, will help us in fulfilling these missions. 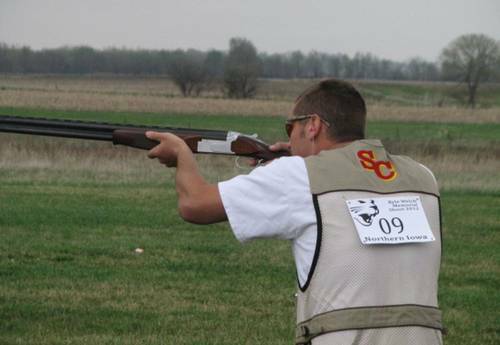 As a benefit to Simpson College, a recognized shooting sports team will help to draw students to Simpson who may have not considered it otherwise. Involvement in student organizations, like the Simpson College Shooting Sports Club, also helps to increase retention of students by increasing the quality of their experience and by fostering connections to their peers. In these times of decreased enrollment, the above benefits of the shooting sports club should not be ignored. In closing, we would once again like to commend President Simmons and the Board of Trustees for choosing to support the Simpson College Shooting Sports with the hire of a head coach.